The pair of Wing W/ 3.2 Shaft, No. 2 (Element ID 6236256 | Design ID 38547) are interesting, with Black and Transparent Brown [TLG]/ Transparent Black [BL] used as the combination of colours to give the impression of wings that are thinner and stretched, like those of a bat. The main attachments are the two 3.18mm bars (used in the set to attach the wings to the body), but there is also a 3.18mm hole and the curved outer edge is also 3.18, to allow further connections. 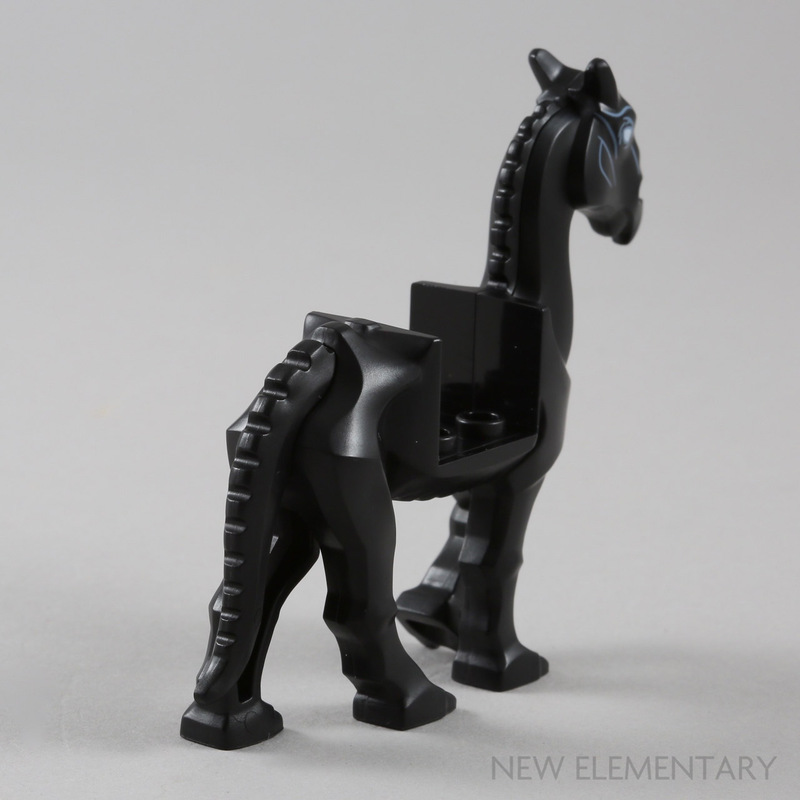 Thestral’s body - Black Horse No.3 (Element ID 6236734 | Design ID 39652) - is the other new mould in this set and accurately depicts the skeletal body and ‘dragon-like’ head. This is not the sort of horse that gallops at a race course or is used by a cowboy. 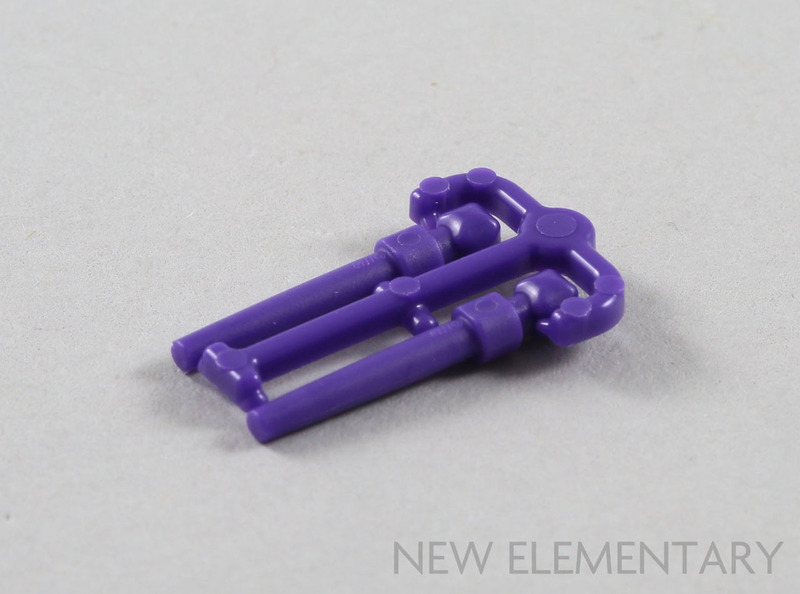 We have already discussed the new wands and their associated sprues, but I just wanted to remind readers that this is the only set containing it in Medium Lilac [TLG] / Dark Purple [BL] (Element ID 6236260) at present. 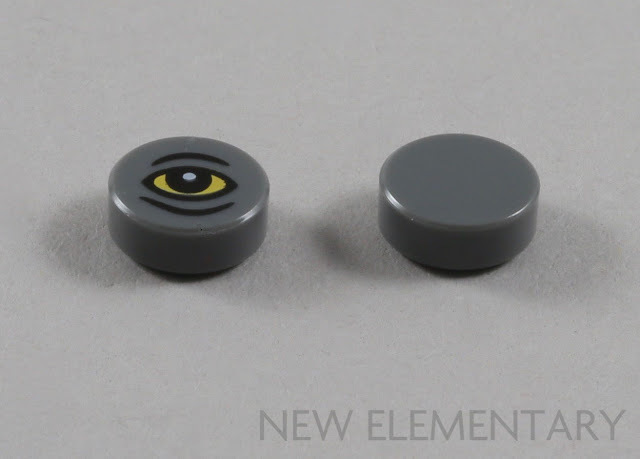 Moving on to Newt’s Case, there are a few more new elements, although these are mainly related to the beasties within the sets. (I'm from Scotland, where a beastie is an insect or a wee animal.) 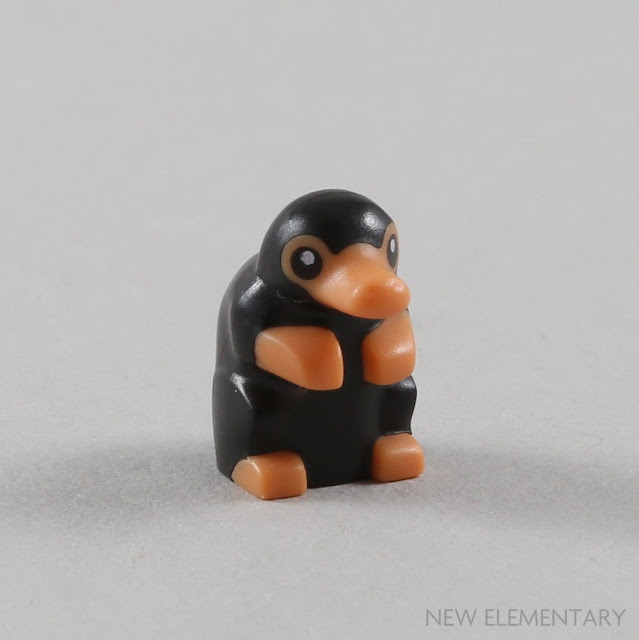 One is the extremely cute little Niffler; Animal, No. 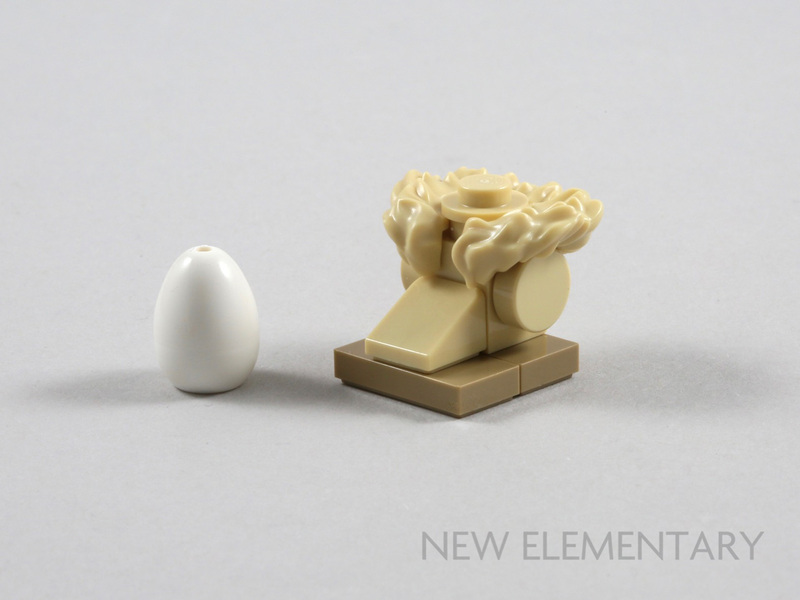 54 in Nougat [TLG] / Flesh [BL] (Element ID 6236417 | Design ID 39561). 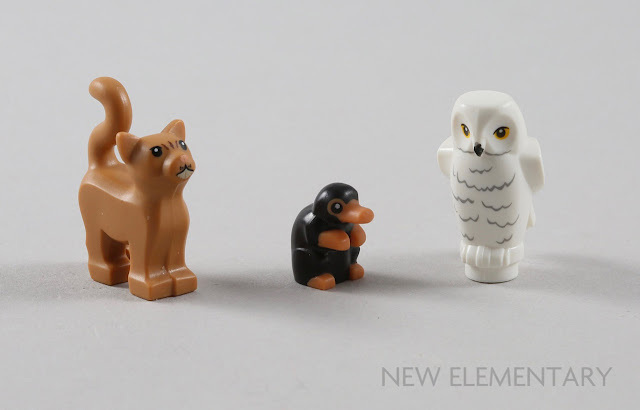 Niffler is able to connect with a stud thanks to the anti-stud recess on the base and, for scale, you can see him here next to the cat and owl from the LEGO Minifigures Wizarding World Series. The lower part, Creature Jaw No. 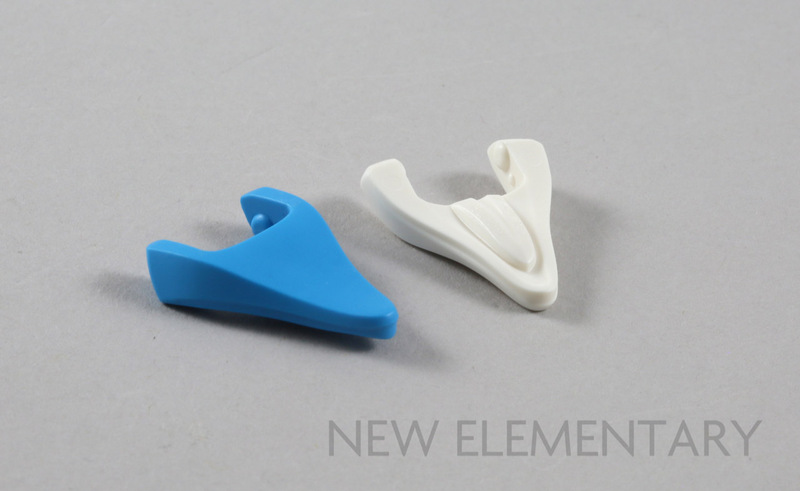 5 (Design ID 39124), makes its debut in this set and it supplied in two colours: Dark Azure (Element ID 6236913) and White (Element ID 6236909). There are three opening positions due to click points on the jaw hinge: closed, half-open and wide-open. 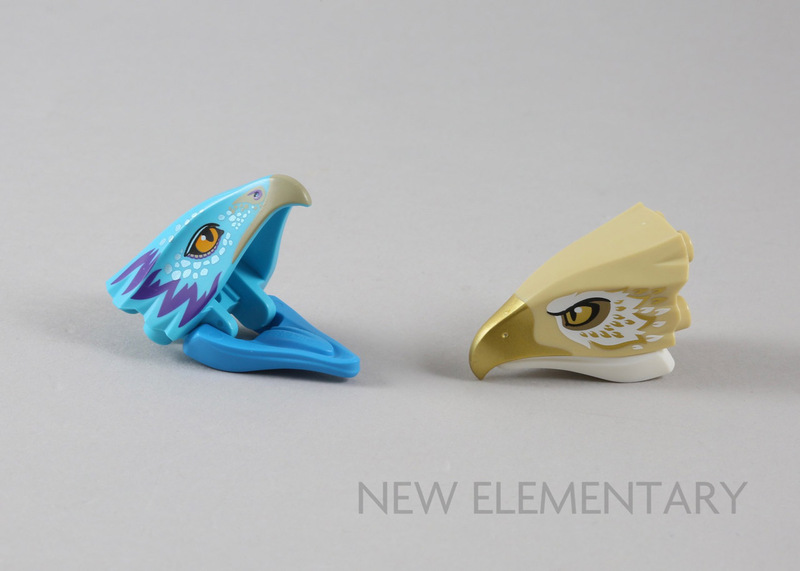 Thunderbird’s wings are also new: White Eagle Wing Left, No. 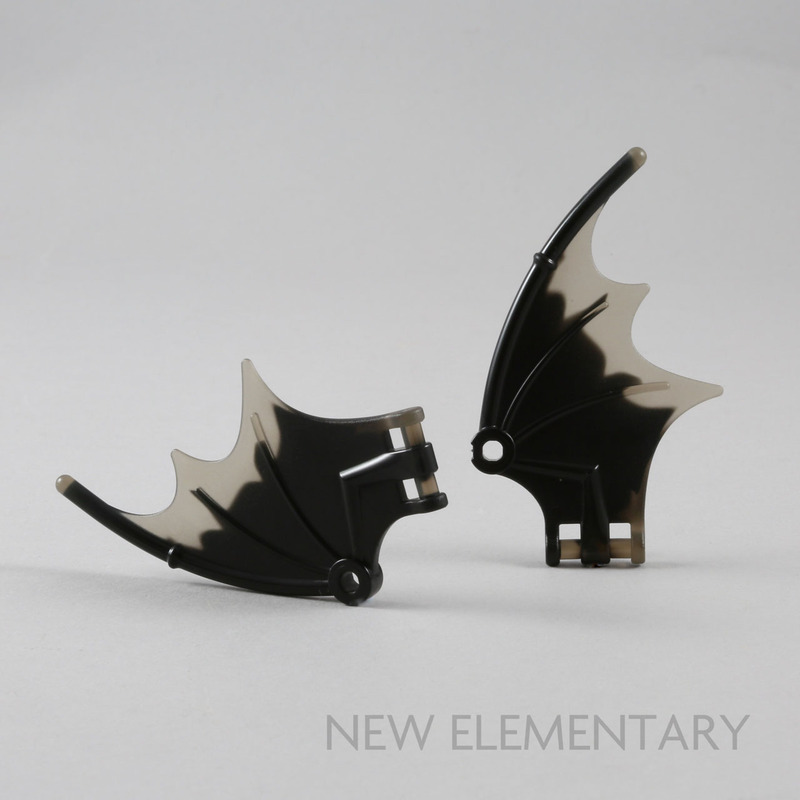 1 (Element ID 6239763 | Design ID 40142) and White Eagle Wing Right, No. 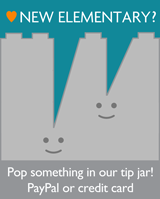 1 (Element ID 6239767 | Design ID 40143). These are especially beautiful with their Metallic Gold print which, like the head elements mentioned above, are safely contained within their own little plastic bags to protect from being scratched. 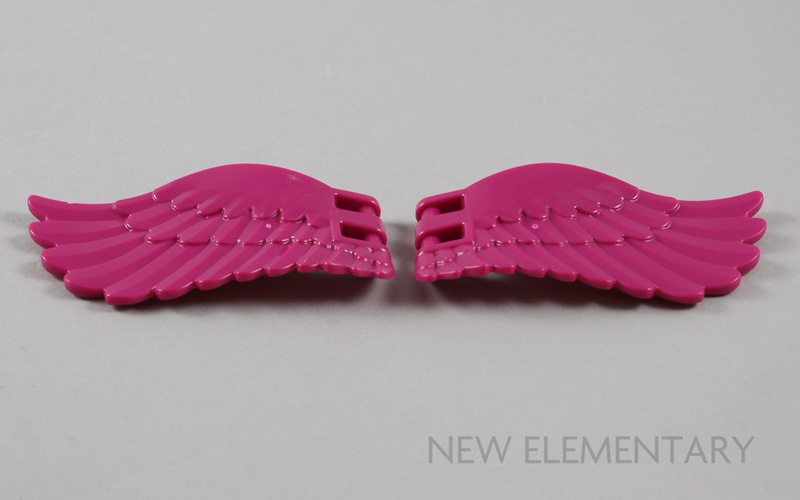 Each wing is shaped with a subtle curve and detailed feathers, with two 3.18mm bars for connection. This set has only two of the new lattice window panes, Bars For Frame 1X2X2 (Element ID 6234994 | Design ID 38320), but remember you will find 40 in 75954 Hogwarts Great Hall. These Black elements are used within the Frame 1x2x2 in Reddish Brown (Element ID 4595814) in the set. Let's now move on to the existing parts that come in new colours in these two new LEGO sets. There are three elements that appear in new colours in Grindlewald’s Escape. 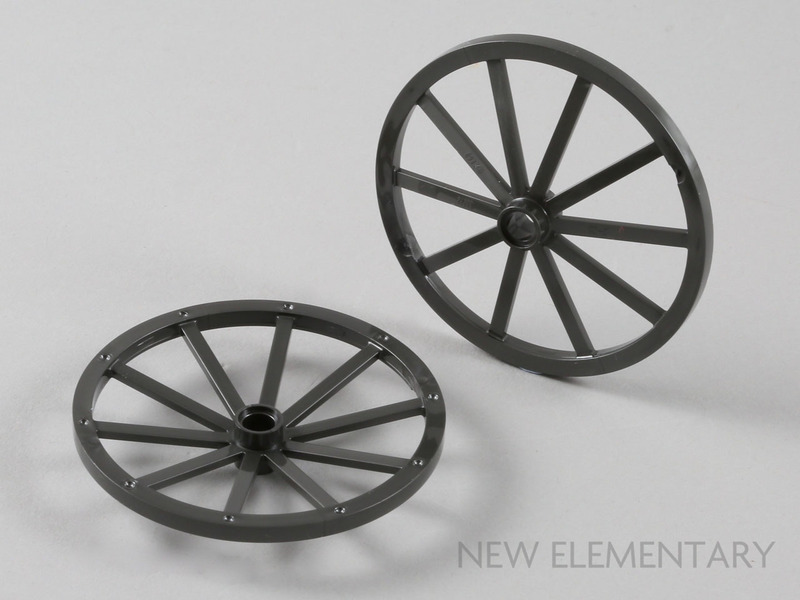 The first is Spoked Wheel Ø56 in Titanium Metallic [TLG] / Pearl Dark Grey [BL] (Element ID 6233804 | Design ID 33212), used as the rear wheels of the carriage. One element I was excited to see was Grass, W/ 3.2 Tube in Black (Element ID 6233805 | Design ID 31576). As someone who has a fondness for plant parts, it was interesting to see this used as a structural element in the carriage but of course can be used as a more sinister species of flora. Black joins four other colours of this element. 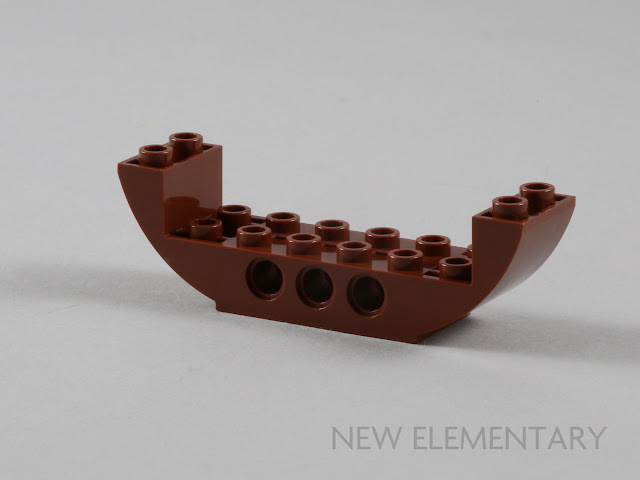 Bow Bottom 2X8X2 Ø4.85 comes in Dark Stone Grey in two sets (70654 Dieselnaut and 76081 The Milano vs The Abilisk) and Medium Stone Grey (in 75188 Resistance Bomber) but is provided here in Reddish Brown (Element ID 6222970 | Design ID 28919). Some readers in the EU may already have this piece in Reddish Brown as it appeared in certain countries in another summer release prior to the Wizarding World theme, namely 41157 Rapunzel's Travelling Caravan. Moving on to Newt’s Case, there are quite a few new colours to enjoy. Especially since some are in Reddish Brown, a commonly used colour ... although perhaps not as aesthetically pleasing when placed next to Bright Reddish Violet [TLG]/ Magenta [BL]. Brick Yellow Plate 2X2, Corner, 45 Deg. 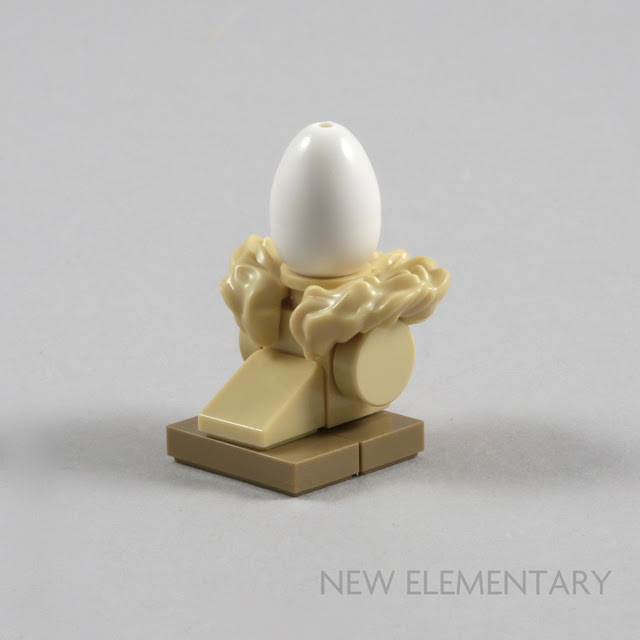 (Element ID 6236914 | Design ID 26601) and Sand Yellow [TLG]/ Dark Tan [BL] Brick 1X2X3 (Element ID 6236916 | Design ID 22886) are both seen for the first time. Plate 1X2 W. Stick 3.18 (Element ID 6236915 | Design ID 48336) - although this element is actually a ‘returner’ with a new Element ID as it was last seen in 2009 and makes a welcome return after nine years in hiding. The latter joins five other colours of this relatively new element. There’s one missing from my pretty line-up photo - do you know which? Bright Reddish Violet Wing Left W/3.2 Shaft (Element ID 6172426 | Design ID 20313) and Right (Element ID 6172427 | Design ID 20312) have also appeared in Warm Gold, Silver Metallic, Dark Brown and Flame Yellowish Orange. These vibrant wings belong to Occamy and look particularly nice when used with her contrasting Dark Azure body colour. Next we have one of those elements that I was convinced was already in my collection and out in the wild! It turns out that Dark Stone Grey Flat Tile 1X1, Round (Element ID 6222416 | Design ID 98138) has not appeared in any previous sets. There is also a printed version with an eye. Finally, seen at the top of the picture below, we have Warm Gold [TLG] / Pearl Gold [BL] Whip (Element ID 6239754 | Design ID 2488) which joins the Dark Green, Black, Metallic Silver, Earth Orange and Reddish Brown entries in the whip department. 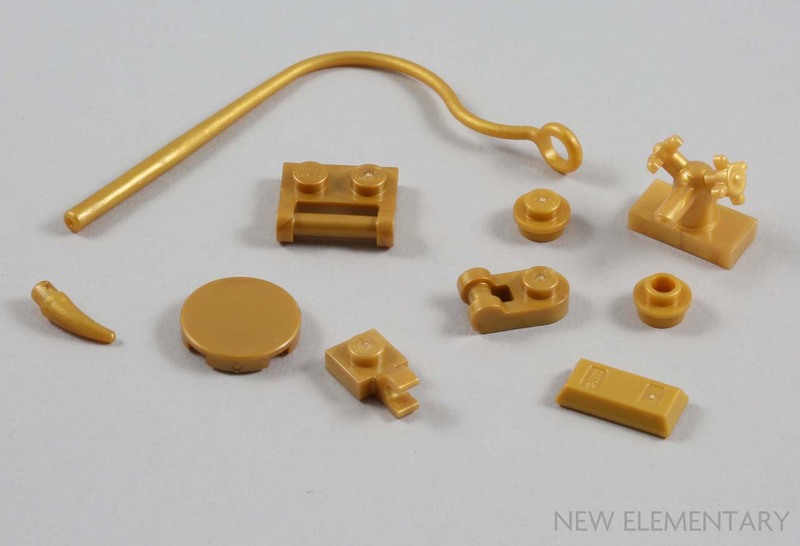 Also pictured are the little treasure trove of nine other Warm Gold elements in this set, for those that may be considering purchasing it as a parts pack. 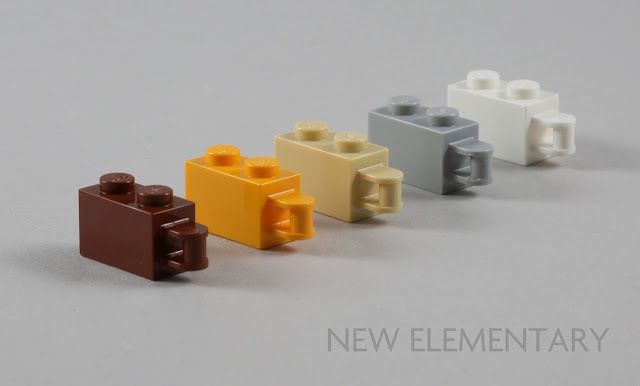 One more thing, a special mention has to go to Brick Yellow Mini Collar No 3 (Element ID 6153507 | Design ID 26066) for its genius usage in this set. The piece has appeared in one other set, 76057 Spider-Man: Web Warriors Ultimate Bridge Battle from 2016, when it was Kraven the Hunter’s fur collar. In this set, the fur collar becomes a cosy nest for the Occamy egg; it looks perfect! 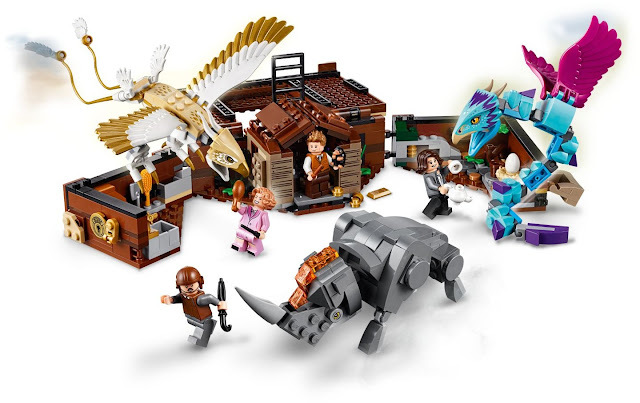 While I have little interest in the Fantastic Beasts movies, these sets give me a wonderful Elves vibe and I may have to pick up them or at least some of their parts at some point. 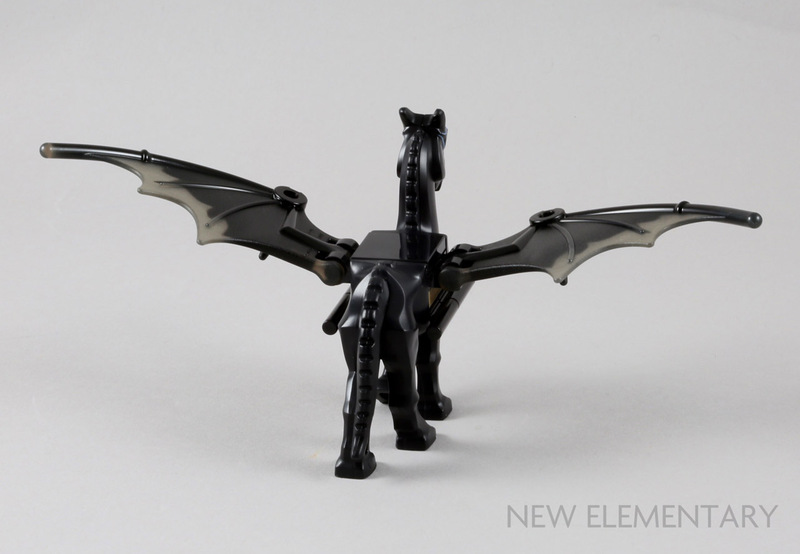 The Thestral wings match the style of the two larger sizes of dragon wings used in Elves, but with a connection point more like the wings of the eagles, pegasi, and pterodactyls from other themes. They seem like they could be extremely useful in Elves MOCs, though I'd love to get them in some brighter colors. 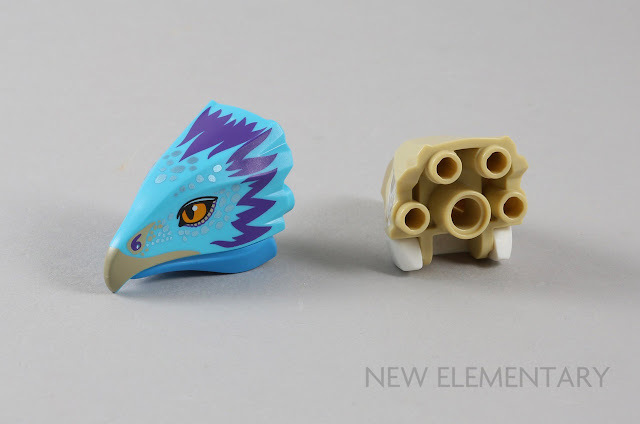 I wish you could have featured a comparison photo between these and the two larger wing sizes! 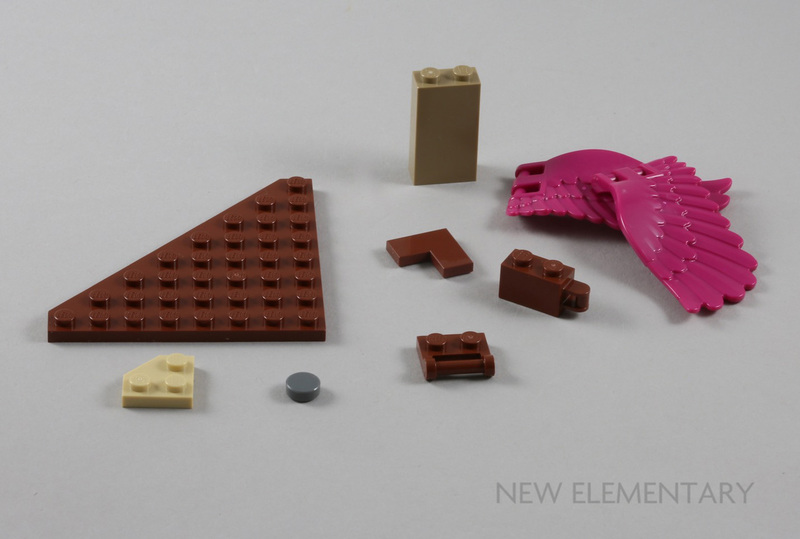 The recolored parts seem similarly useful. 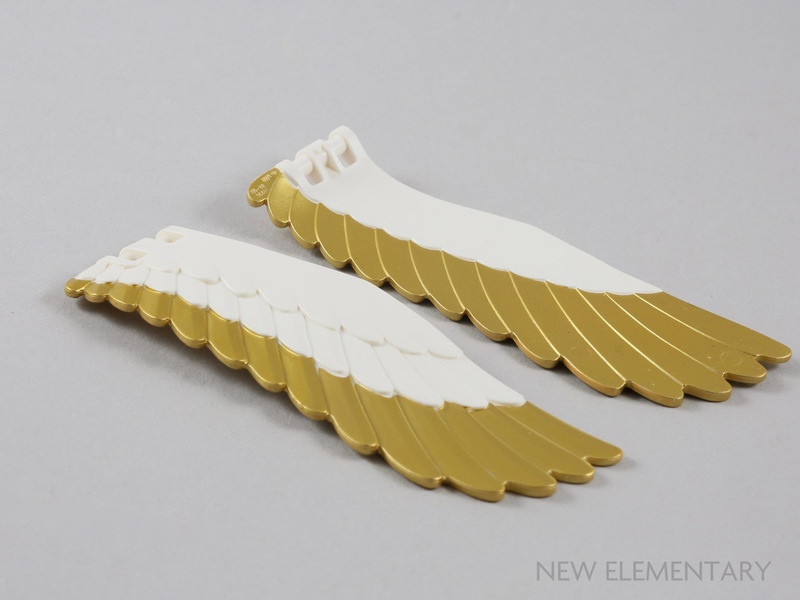 The larger eagle wings in white and gold might have made a great alternative for the solid gold pegasus wings from Lumia the Eagle in this year's Elves sets. The magenta pegasus wings are also great and could be used decoratively or perhaps on another pegasus (they'd pair well with the Flame Yellowish Orange coat and Magenta mane of Firebolt from last year's sets). The abundance of Reddish Brown and Warm Gold parts could also be useful, as could the black grass stalk for a darker or more evil subject. 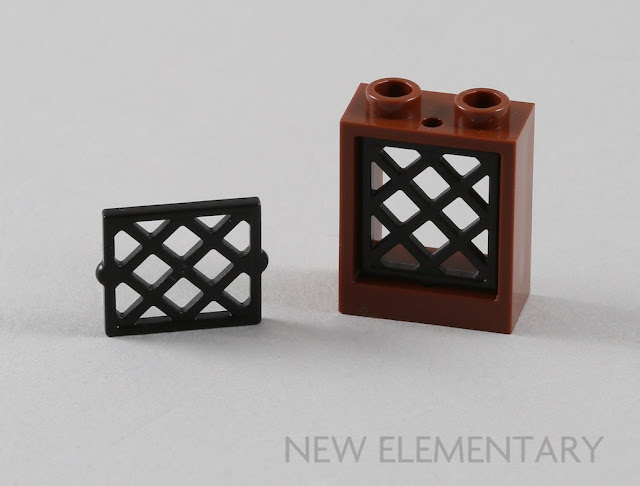 Finally, the black lattice window is another great part that pairs well with the arched lattice window (the first such match to appear in official sets). Would love to see that appear in gold! "One element I was excited to see was Grass, W/ 3.2 Tube in Black (Element ID 6233804 | Design ID 33212)." - Has incorrect Element/Design ID. 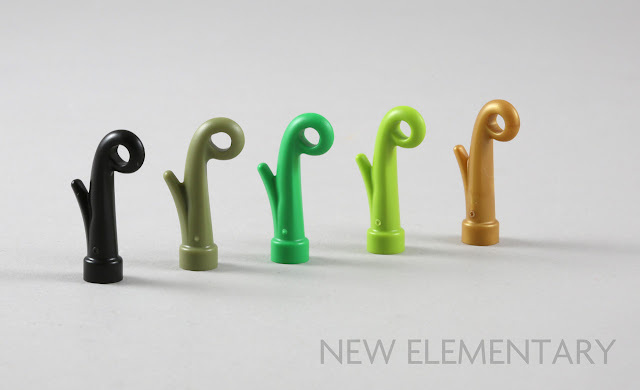 One element I was excited to see was Grass, W/ 3.2 Tube in Black (Element ID 6233805 | Design ID 31576). Good to see they're starting to add half-open positions for lower jaws. I like the current Velociraptor design, but hate that the jaw is all or nothing. 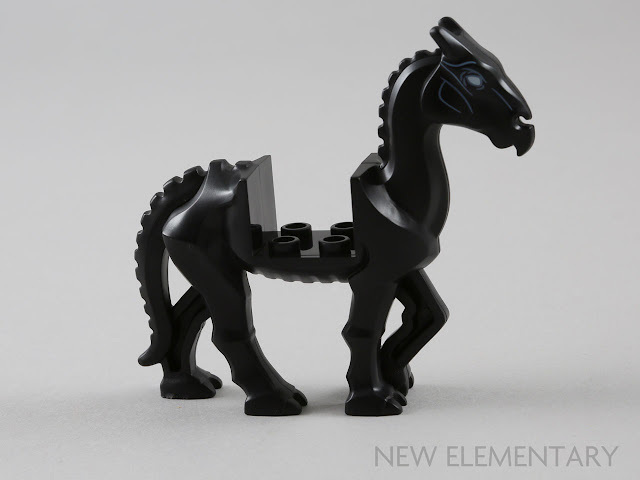 The Elves dragons and similar large animals have had half-open positions all along. The modern T-Rex does too, I think, but the large shark does not. This is the first time I've heard of a jaw that's similar in size to the modern raptor that has a 3-position jaw. Unfortunately, it's highly unlikely that they'll tweak the raptor molds to allow this, and even more unlikely that they'll release an updated raptor with the same color scheme as the one seen in TLBM. The wizard's name is GrinDELwald, not Gringlewald.